This is the second perfume by avant-garde designers Victor & Rolf. It is a green/floral fragrance for women. 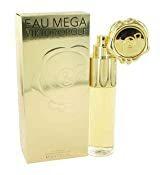 Perfumer Oliver Polge created this scent which is composed of eclectic accords including notes of pear lemon violet leaves peony basil jasmine and musk.